Home > Printable Coupons > Grocery Coupons > Dole Coupon | Pineapple For 88¢ ea. Dole Coupon | Pineapple For 88¢ ea. There is a new Dole coupon out that can help you save on fruit this week. 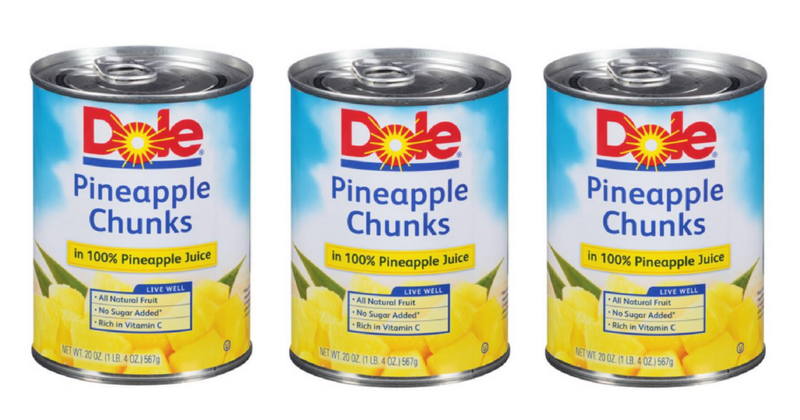 Head to Kroger for the best deal, where you can get Dole canned pineapple for only 88¢! If you don’t have a Kroger if your area, but you have a Publix, you can get canned pineapple for $1.13 each.